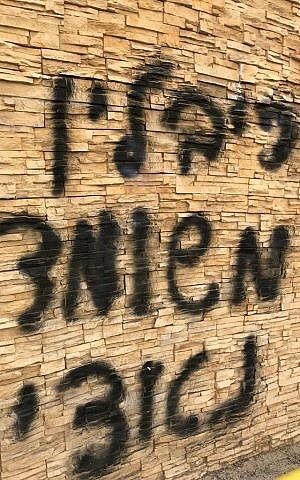 Graffiti branding President Reuven Rivlin a “Nazi” was sprayed in the central city of Bnei Brak, in an apparent protest of his visit to an ultra-Orthodox elementary school there at the beginning of the school year two months ago. 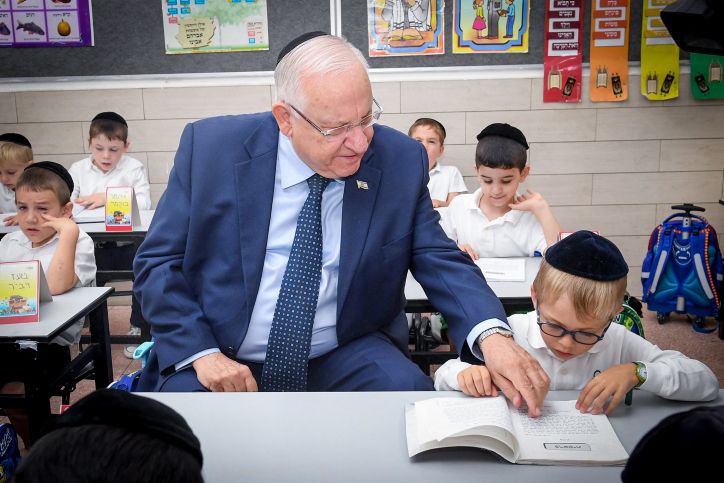 A Hebrew slogan daubed on the walls of the school in the ultra-Orthodox city read, “Rivlin is a Nazi apostate.” Another seemingly referred to Rivlin’s visit to the school. Police opened an investigation into the incident. In a statement, police said they received a complaint about the vandalism on Wednesday. 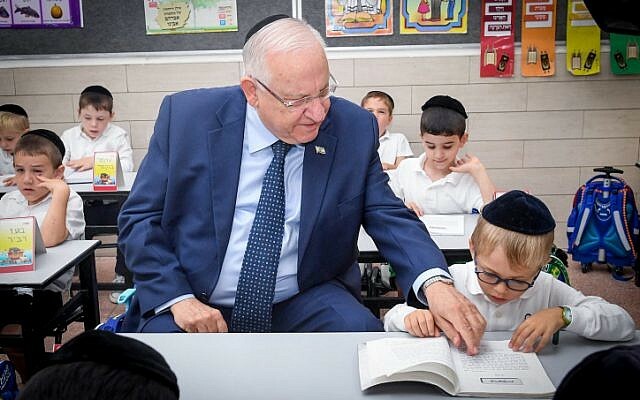 According to the ultra-Orthodox Kikar Hashabat website, the vandalism was protesting Rivlin’s visit to the Boston Talmud Torah, an ultra-Orthodox institute. Many in the Haredi community reject the secular State of Israel and its officialdom, making Rivlin’s visit in late August, which took place without incident, unusual. Lawmakers were quick to claim the graffiti was prompted by the sharp responses from some right-wing officials over a speech Rivlin gave Monday. At the opening of the Knesset winter session, the president roundly criticized politicians for undermining the justice system in their efforts to limit the power of the Supreme Court. 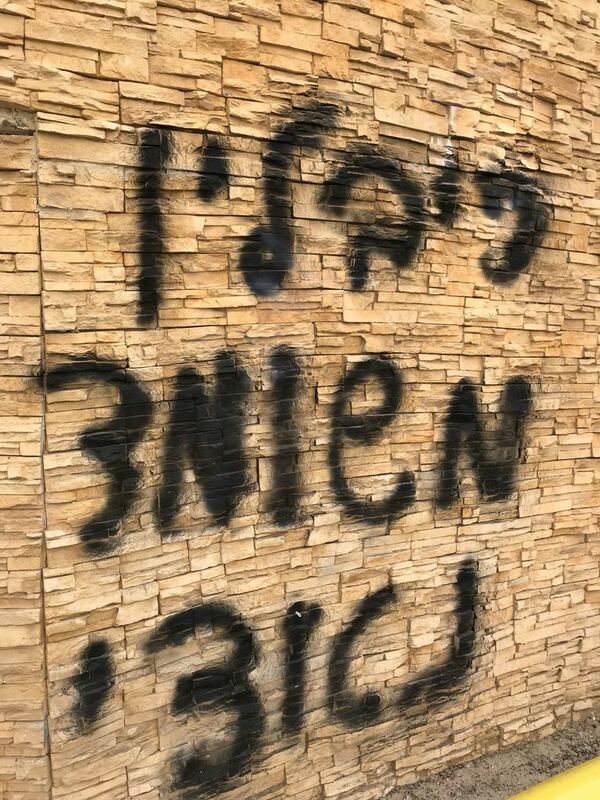 Graffiti on a wall in Bnei Brak criticizing President Reuven Rivlin that reads ‘Rivlin is a Nazi apostate,’ October 25, 2017. 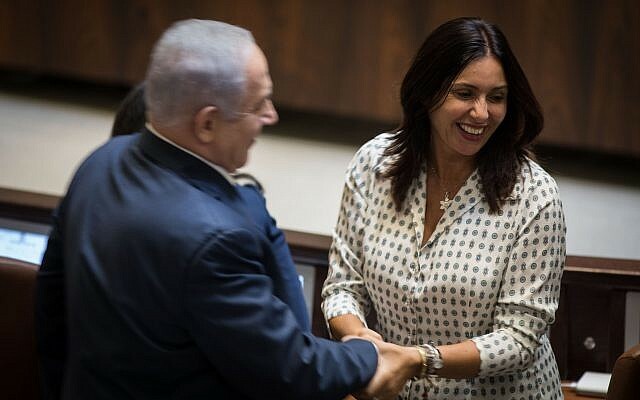 Opposition Yesh Atid party leader Yair Lapid accused Rivlin’s critics of motivating the vandalism — an apparent reference to Regev, who had continued her criticism in a Tuesday radio interview. Zionist Union lawmaker MK Tzipi Livni echoed Lapid in attributing the blame to those who spoke out against the president. 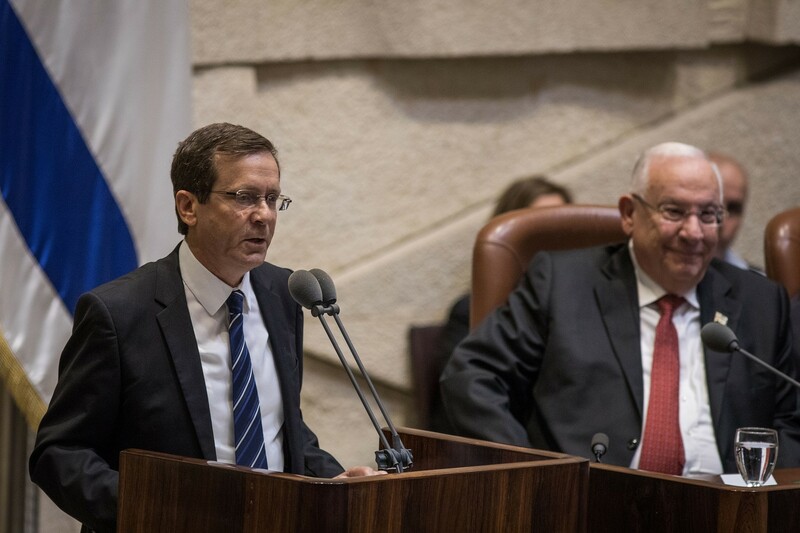 Opposition leader MK Isaac Herzog hinted that Netanyahu was responsible, after the premier labeled the opposition and media “sourpusses” (literally, “pickles”) in a Monday speech. The President’s Residence asked security services to look into threatening responses made on social media after Rivlin gave his speech, Channel 2 reported. Speaking at the opening of the Knesset winter session on Monday, Rivlin launched a passionate defense of the judicial system and the media, saying government attempts to undermine them amount to a “coup” against the pillars of Israeli democracy. “The Knesset is the representative of the sovereign, the people of Israel, the entire people of Israel. In this house we must remember that it is the people we must live up to. This wonderful people whom we have been privileged to serve and represent,” Rivlin told Knesset members and guests at the ceremony. Rivlin accused political leaders of weakening state institutions by attacking them for narrow political gain. “From the ‘political’ professional bureaucracy to the ‘political’ state comptroller, the ‘political’ Supreme Court ‘politicians,’ the ‘political’ security forces, and even the IDF, our Israel Defense Forces are ‘political’; the whole country and its institutions – politics,” he said. Rivlin, a former Likud lawmaker, was criticized by party members for his comments. “He hasn’t been on our side for a while,” MK David Bitan told reporters in the halls of the Knesset. 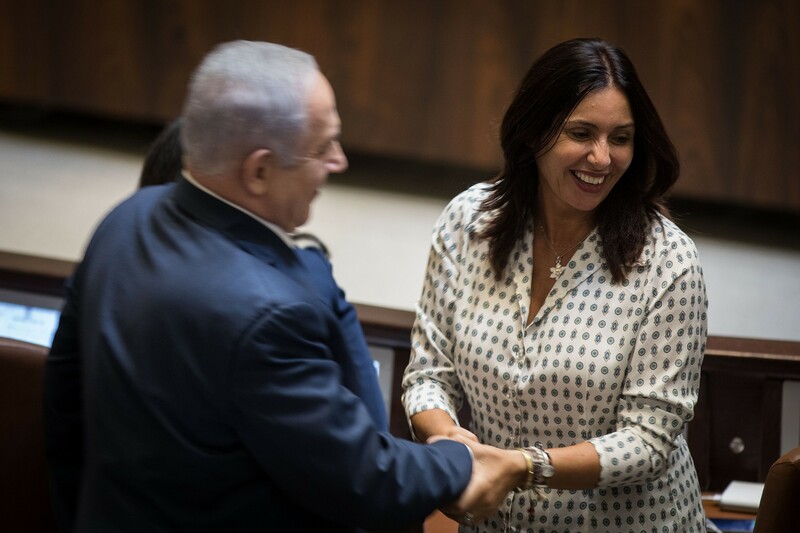 Regev also slammed Rivlin, branding him a “president who belittles politicians, belittles the will of the people and damages the heart of democracy,” she said. 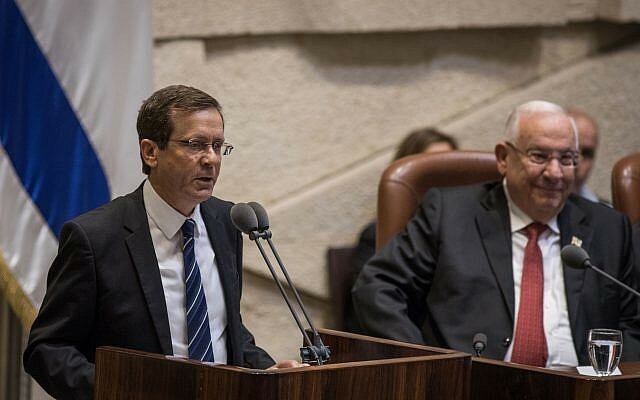 Ahead of the winter sitting, several coalition lawmakers have vowed to advance a constitutional Basic Law to rein in the Supreme Court, accusing the justices of overstepping their mandate in rejecting Knesset legislation in a series of recent rulings. Speaking at the weekly faction meeting of his Jewish Home party, flanked by Justice Minister Ayelet Shaked, Education Minister Naftali Bennett on Monday accused the Supreme Court, which doubles as the constitutional High Court of Justice, of “forgetting” its role and placing the judiciary above the legislative branch.